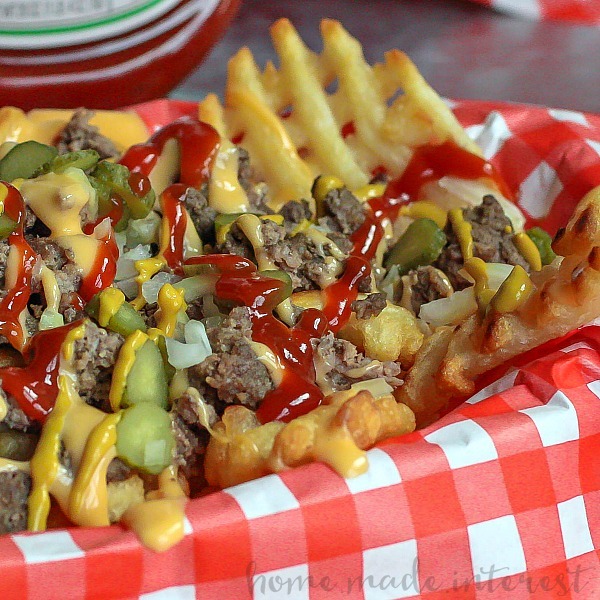 Loaded Cheeseburger Fries - Home. Made. Interest. Guys, let me tell you Melinda has been on fire lately! 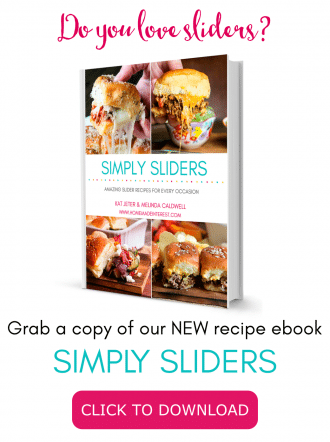 She has come up with some of the BEST appetizer recipes for the big game and it turns out cheeseburger is the key. First we made those amazing Cheeseburger Tots (SOOOO Good!) and then last weekend Melinda comes up with these Loaded Cheeseburger Fries. Mind Blown! Have you ever put french fries on your fast food burger? I’ve done it forever and the combo is delicious! That’s why I couldn’t believe I had never thought to load a basket full of waffle fries up with everything that makes a good cheeseburger. 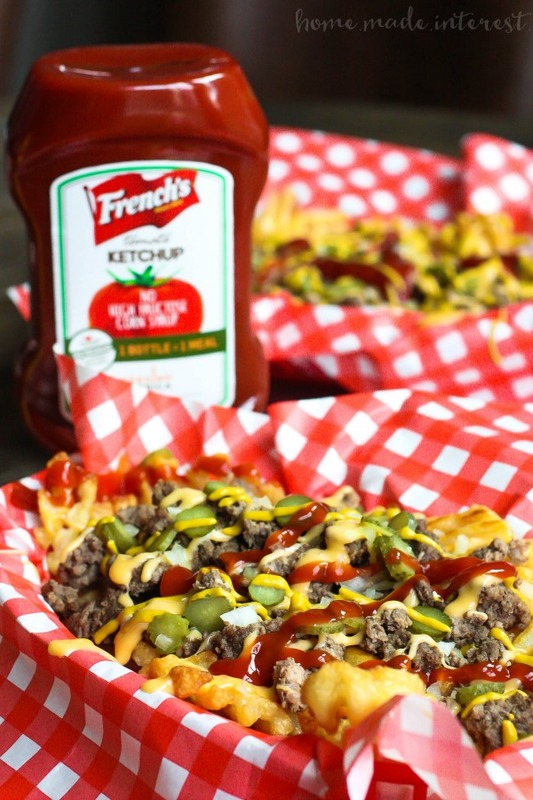 These loaded cheeseburger fries are topped with ground beef, onions, pickles, melted American cheese and of course French’s Ketchup and mustard. We considered going with a secret sauce but honestly, nothing beats a little ketchup on your fries or your burger. French’s Ketchup uses real ingredients, like real sugar and high quality tomatoes, and it doesn’t have any GMOs, high fructose corn syrup, preservatives, or artificial flavors and colors. That and a little mustard tastes better than any secret sauce and let me tell you, it was totally the right decision! We picked up all of the ingedients we needed for these loaded cheeseburger fries at Walmart and we made them for the game last weekend. We even found these cute fry baskets to serve them in so people could take their fries with them and they didn’t have to miss a play. I don’t think they were on the table for more than 15 minutes before they disappeared. 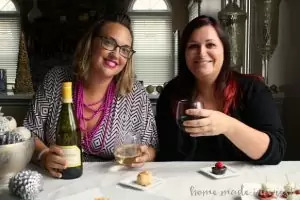 Everyone loved them and we had to make a second batch just to get a taste. I was in heaven. I may never go back to boring old chili cheese fries! 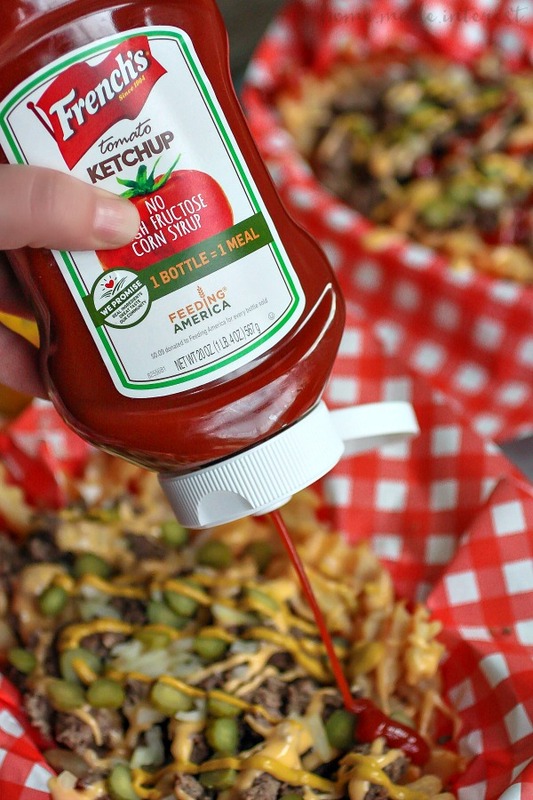 Want to feel extra good about using French’s ketchup on your loaded cheeseburger fries? 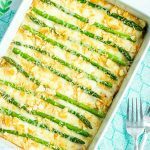 Not only do they promise real ingredients and great taste, French’s is doing its part in the community donating 10 million meals in 2017 through a partnership with Feeding America, a nationwide network of food banks that leads the nation in the fight against hunger. Help them make a difference by picking up a bottle of French’s Ketchup the next time you’re in Walmart. These french fries are loaded with everything it takes to make a great cheeseburger. Ground beef, onions, pickles, cheese, and of course ketchup and mustard. Cook the waffle fries according to the instructions on the package. While the fries cook brown the ground beef in a skillet over medium high heat. Add salt as you cook. 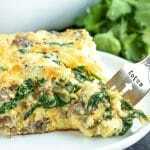 When meat is fully cooked drain the grease and return to skillet and set aside. 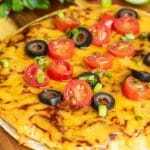 In a small sauce pan combine the American cheese and milk and cook over medium heat stirring constantly until it is fully melted and the consistency is runny enough to drizzle over fries. If needed you can add more milk. 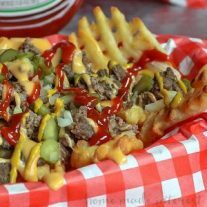 Place cooked fries on a large plate or in french fry baskets and top with ground beef, then pour cheese over everything, sprinkle with onions and pickles and top with ketchup and mustard. 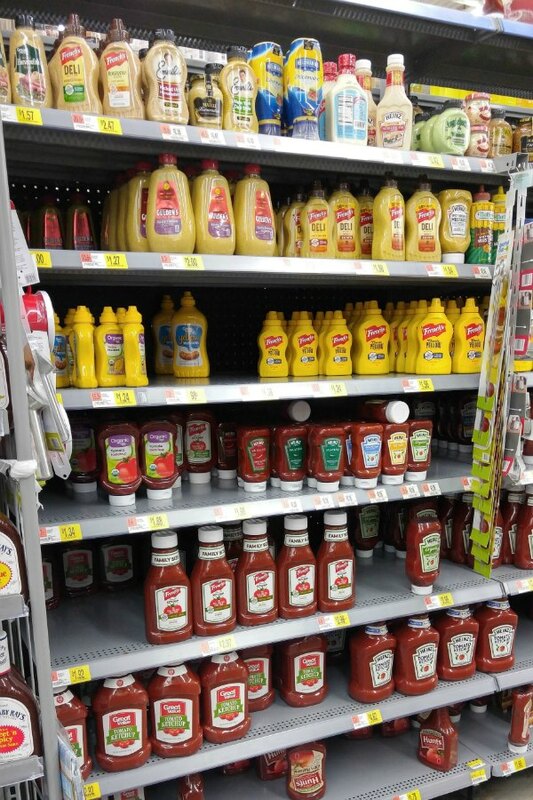 You can find French’s Ketchup at your local Walmart. 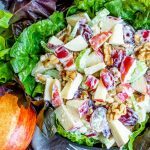 Get ready for the big game and grab some today!